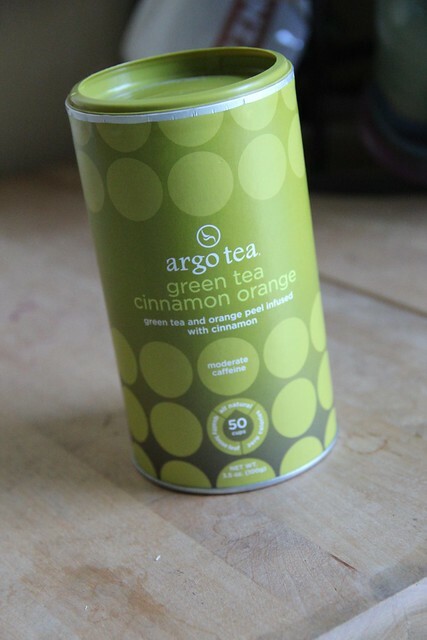 Another blend I picked up in Chicago a few weeks ago was Argo Tea‘s Cinnamon Orange Green Tea blend. From the website, the blend contains green tea, orange peel, cinnamon, safflower, blue mallow, sunflower petals, orange and clove flavors. It is available in a 3.5oz canister for $9.95. When I opened this one it smelled deliciously of cinnamon and orange. That only grew as I brewed it. The taste was spicy; cinnamon and clove intertwined. 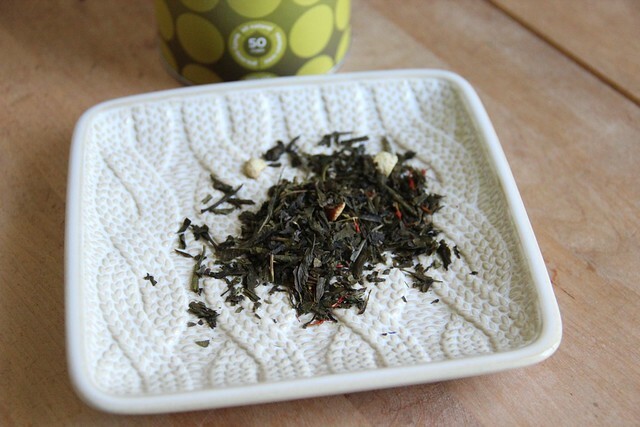 The green tea was mild, and not at all grassy. This was great hot and I think it would be wonderful iced. It also made me think of fall and holidays with the spice palate – it would be great in the winter.